American business has been at forefront of establishing creative new technologies and innovations that streamline productivity and make work more effective and efficient. Every American city embodies this concept of newer, faster, and better, and this is very apparent in the leaps that the American office space has made in the last few years. As the progenitor of the coworking space movement, Americans have also taken on remote working and fined tuned it for the American business palate. In fact, through advances in the virtual office industry, those choosing to work remotely have the advantage of many technological tools. Regardless of where they choose to work, the virtual office in the American imagination can tap into and be used in any location, nationally and internationally. More specifically, the virtual office can act as the hub of collaboration for your team members. Let’s take a look at just some of the ways you can tap into the virtual office’s many collaborative uses and utilise this office solution to benefit your business. Providing Structure To Your Infrastructure. The virtual office essentially moves your physical office to an online format. However, if businesses need the use of office space, conference and meeting rooms, and boardrooms, these spaces can be easily reserved (click on the following link www.servcorp.com/en/virtual-offices/ to see the array of amenities many virtual offices have). While the virtual office suite provides businesses with both physical and online space to work, these plans work best with a business online management system and online apps that can help your business operate effortlessly, but more significantly, allow team members to collaborate easily. In today’s American business landscape, online outfits such as Monster.com and Indeed.com have made it possible for job seekers to upload applications easily and receive queries, and sometimes within days. Let’s not mention the wonders that LinkedIn and other professional social media sites have done in transforming hiring practices. For businesses adopting a virtual office format, all they need do is advertise their position in any number of places, provide a place for prospective candidates to submit their application and upload their resumes, and then review the applications as they come into the database. Furthermore, interviewing candidates can occur from any place in the world. Essentially, video-conferencing tools that accompany these plans can essentially remove the geographic limitations of hiring talent. These tools also place your team in the position of hiring top talent from around the world. The virtual office’s online format has made hiring team members more efficient but it has also opened the doors to receiving candidates from around the world, which can always bring a different perspective. Using Online Management Tools To Collaborate. Online management systems operated through a virtual office provides structure to your office. Typically, this software allows a business to house all of the necessary functions of a business under one program. For example, many of these systems allow businesses to communicate with employees through different tools, have a system for assigning assignments and receiving them from team members, and more significantly, a method for tracking work and payments made to contractors. This structure makes it easy for team members to communicate with each other because online chat, file sharing and other apps contained in these programs make it easy to engage with team members and at any time of the day or night. Great online business management tools will actually provide video and audio capabilities, so team members can talk to each other from anywhere in the world. The virtual office has made the world a smaller place simply through an internet connection. For American businesses pioneering new frontiers internationally, the virtual office has provided them access to talent and opportunities they could not possibly have working in a physical reality. 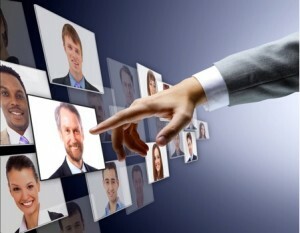 More significantly, the virtual office has streamlined many tasks making work more structured, efficient and effective.